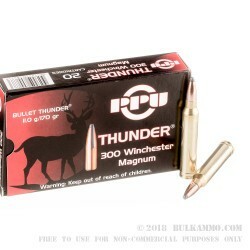 Prvi Partisan offers a substantially discounted option for .300 Winchester Magnum shooters with this high-quality load. The 170 grain round offers mid-range performance for target shooting, long range precision shooting and medium to big game hunting. 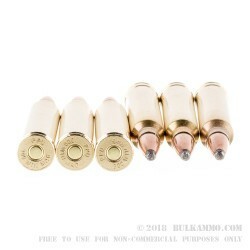 This round is a pointed soft point projectile mated to a boxer primed brass case, capable of being easily reloaded. Prvi Partisan has been manufacturing military grade ammunition for militaries all over the world; it’s commercial offering taps into their long history of providing high quality ammunition while offering calibers such as the 300 Win. Mag. to the mainstream public. The company has been based in Serbia since 1928 and offers an excellent quality cartridge at a significant savings. An ideal mid-large game hunting cartridge or a paper puncher for those who shoot long-action, belted cartridges for these activities. The 170 grain projectile is a good compromise between super heavy rounds and the lighter game rounds. The soft point loads reliably due to the high-quality projectile and the pointed design. This projectile offers excellent terminal ballistics without overpenetration. The soft tip helps reliable deformation and the load offers good performance for long range with a velocity of 2870 and an energy of about 3110 ft. lbs. at the muzzle. 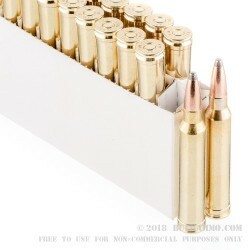 It is packaged in a box of 20 rounds with a paper insert. 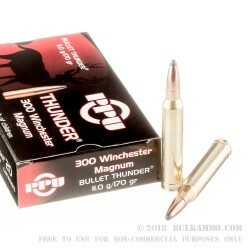 This ammunition is suitable for use in all modern firearms marked: “.300WM” “.300 Winchester Magnum” or “.300 Win. Mag.” And is a belted cartridge.